Please find below a selection of MAPECU base tables for MAPECU, MAPECU2 and MAPECU3. These base tables vary from basic data from “learn mode” through to highly tuned versions from vehicles with dyno plots in our results area. Some are provided by us, some come from our dealers, tuners or installers and some come from our customers who have uploaded them to our support forum. A MAPECU Base Table includes the ECU configuration, fuel, ignition timing, AFR Adjust and Auxiliary Injector tables. The ECU Configuration includes all the settings under the ECU Configuration screen including the Mode, e.g. MAF Conversion (Elimination) or MAF Intercept, the MAP sensor pressure scale (load), ignition channels, input/output mapping, etc. The ECU Configuration determines how the MAPECU works and which wires are used for the various functions. This the foundation of what makes the MAPECU a universal piggyback ECU. For example, if your vehicle uses a Karman Vortex Frequency air flow meter, then the combination of ECU Configuration setting and wiring diagram make it work in your vehicle. The same thing goes for a voltage based MAF sensor for MAF Conversion. Only one model of MAPECU, MAPECU2 or MAPECU3 is required to cover all types of air flow meter and mode of operation. The description will provide an indication of the quality. In order to use these base tables, “right-click” on the file name in the left hand column and select “Save Linked File as…” and save it to your MAPCAL folder. Note: Any MAPECU base table can be opened and upgraded by MAPCAL2 or MAPCAL3 for MAPECU2 and MAPECU3 respectively. 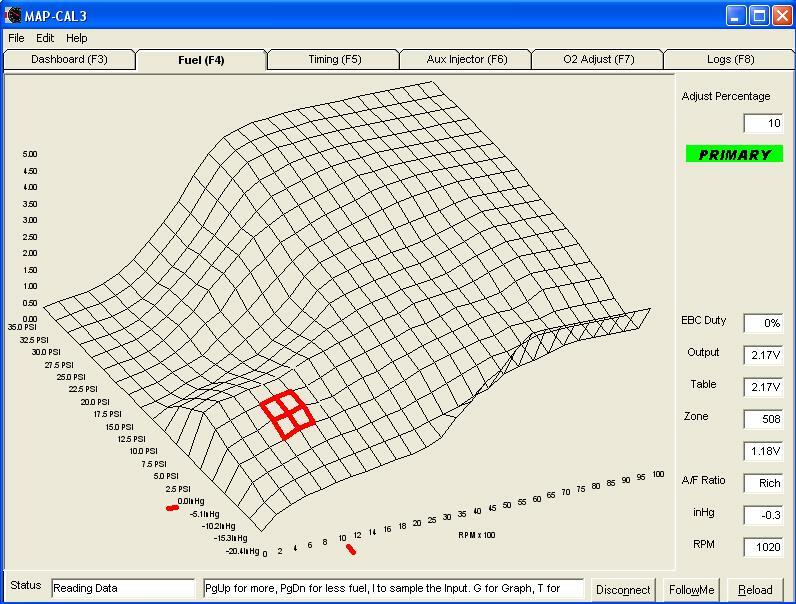 Any MAPECU2 base table can be opened and upgraded by MAPCAL3 for MAPECU3. RBS12_550cc.tbl Nissan Skyline R33 1993-1997 RB25DET RB25DET 550cc base table supplied by our Facebook friend Batiste Michelet. 2JZGE330cc_insported.tbl Toyota Supra JZA80 1993-1997 2JZ-GE USDM Stock Injectors, customer tuned.